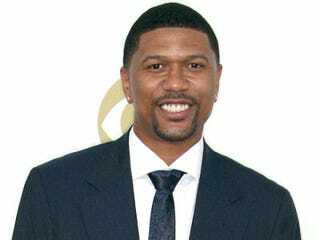 Produced by former NBA star Jalen Rose, the debut of ESPN's The Fab Five was perfectly timed to coincide with the start of March Madness. The two-hour documentary tells the story of Rose, Chris Webber, Juwan Howard, Jimmy King and Ray Jackson, who collectively made up the storied Fab Five and, as freshmen at the University of Michigan, ignited the game of college basketball like never before. Later, Webber would have a starring role in a scandal that rocked the school's athletics program. The Fab Five airs March 13 at 9 p.m. ET on ESPN.